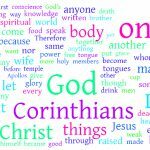 No church in the New Testament is more like our modern churches than the Corinthian church. 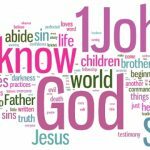 John wrote his first letter to clarify the differences between the genuine gospel as revealed by Jesus to the apostles and the heretical versions of the gospel spreading in the early church. He gives 2 guiding principles for recognizing genuine believers and false teachers. The Epistle to Philemon is a private letter written by the Apostle Paul. Along with the letter, Paul returning Onesimus, a slave who ran away from Philemon. 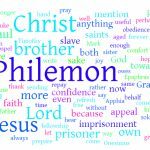 This letter appeals to Philemon to take the right action and free Onesimus, but it speaks volumes to us today about how to live our daily lives. 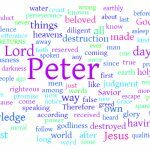 While philosophers often use this letter to talk about the evils of slavery and condemn Paul for not taking a strong stance against it, I think this letter has much more to say to us as individual believers and how we should live our lives. A friend once asked me if I was on an airplane that was about to crash and had only a couple minutes to use my cell phone to call my family, what would I say? What would I tell them if I knew this would be our last conversation on earth? At first my mind when blank, but then the answer seemed obvious: Hang on to your faith. But to understand why saving faith is that important, you have to really understand the gospel.